Home / News / CAFL 2017 Shanghai Combine a Resounding Success! CAFL 2017 Shanghai Combine a Resounding Success! 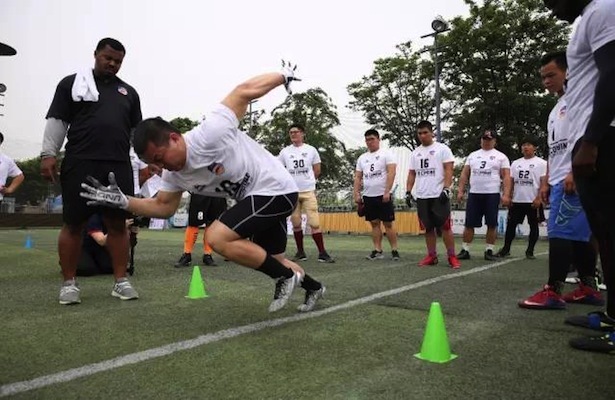 What a day it was at the CAFL’s 2017 Shanghai Combine! We saw record attendance, impressive testing numbers, and most of all, a burning desire among the players to play in CAFL Super Series II this fall. The talent that was on display today was simply incredible to watch, but the prospects in the Beijing combine next Saturday should certainly have something to say about that. We would like to thank all of our hard-working coaches, volunteers, media personnel, and most of all the players chasing their football dream that made today the success it was.